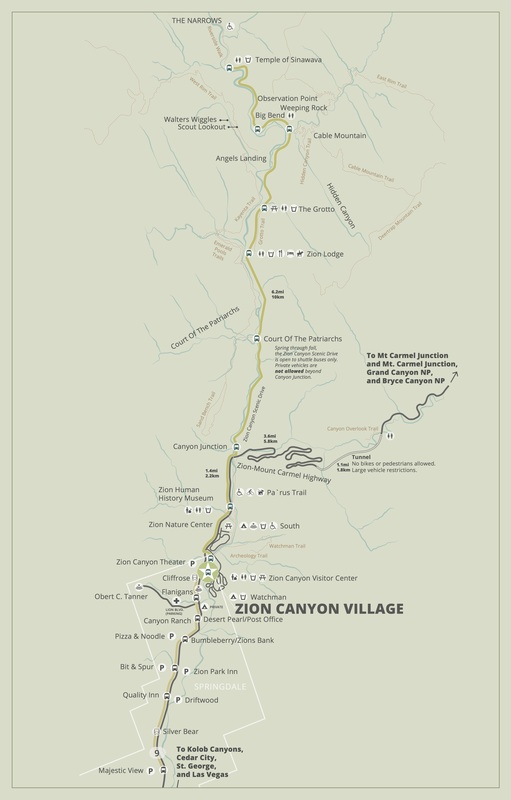 As part of Zion National Park’s free shuttle system, Springdale has a route running through the town April-October. Parking at the Visitor Center in Zion often fills up, so if you’re spending the night in Springdale you would do good to leave the car at the hotel and take the shuttle into the park. In spring and fall, the shuttle runs from 6:30 AM until 10:15 PM, with 10-15 minute frequency. In the summer (mid-May to early September), the shuttle runs from 5:30 AM until 11:15 PM, with 10-15 minute frequency, and 20 or 30 minute frequency in the very early morning and late evening.